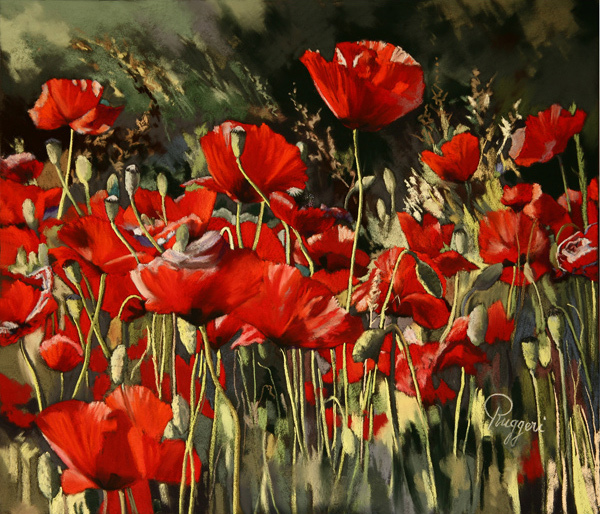 There is warmth, life and well being in Anne Marie RUGGERI’s brushstrokes. With her dry pastel painting, reflecting an atmosphere she knows so well, Anne Marie RUGGERI captured this work in her region where life is so carefree. 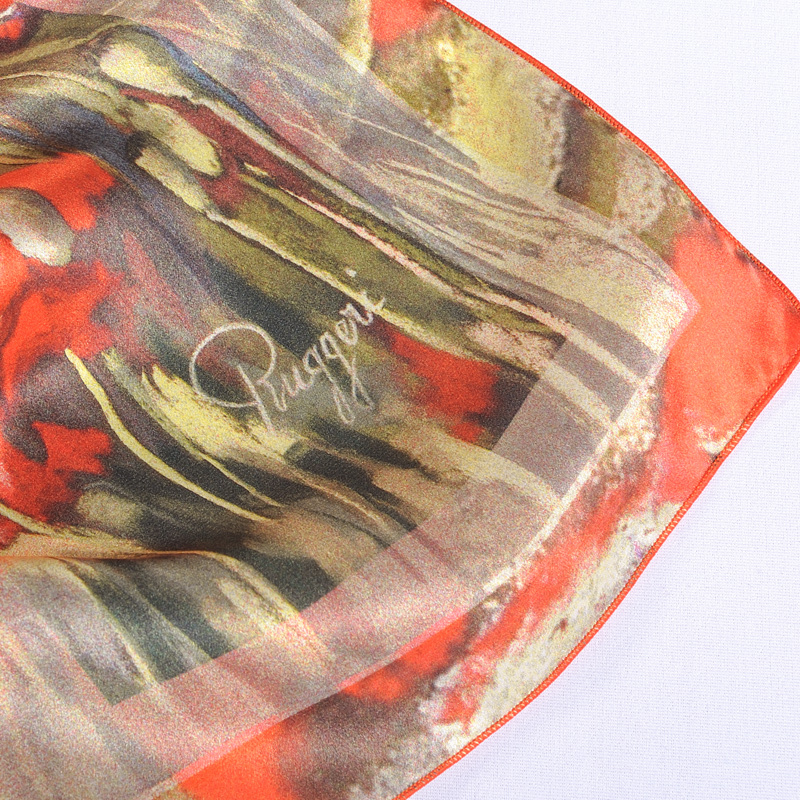 What could be more symbolic than poppies in bloom to illustrate our first scarf with this artist. The daintiness of the fragile flower, the creative passion of the Provençal artist and the subtle adaptation of the work turn this fashion accessory into a spring bouquet bearing the love of a southern sun. 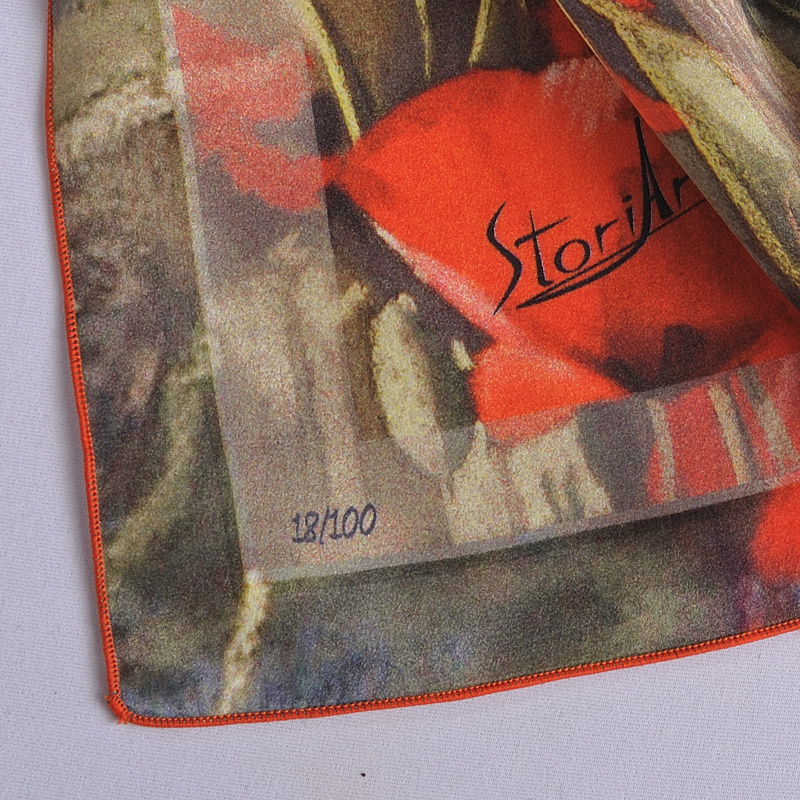 Like a breeze rustling the red petals of the blossoming fields, StoriArt’s silk draped on your shoulders, will ripple and glow in the sun’s rays. 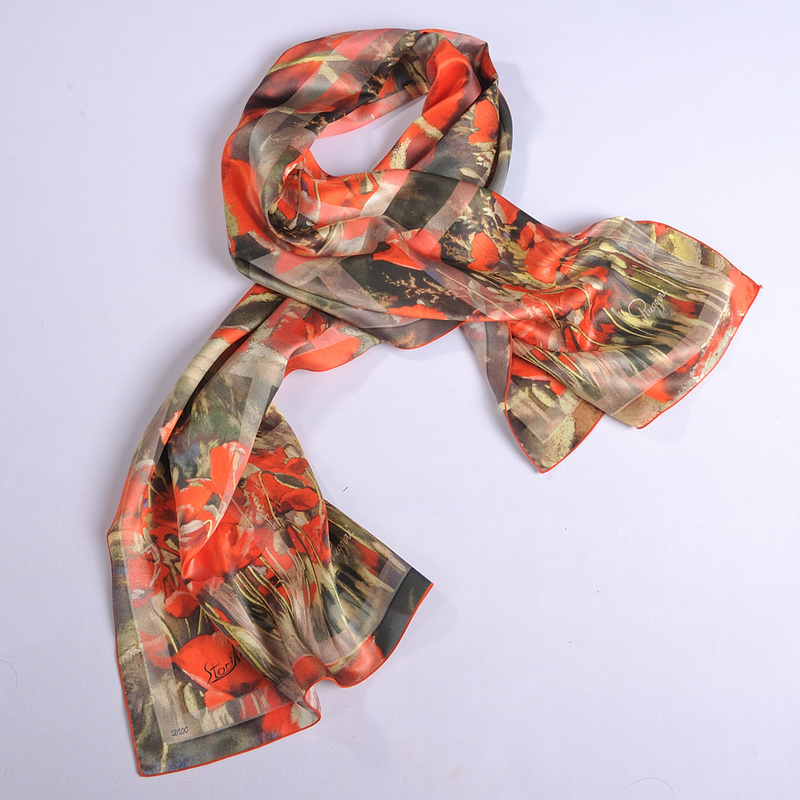 Wearing this scarf is sure to enhance your natural charm and elegance.